Only two weeks ago I posted about Latvia’s 100th birthday. 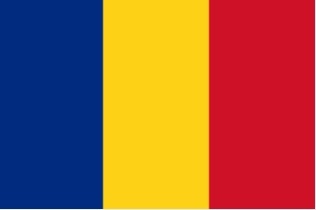 Today (1 December 2018) we celebrate the 100th birthday of Romania – when Transylvania and Banat came together with ‘The Principality of Moldova and the Romanian Country‘ (difficult to translate not to be clumsy) to form Romania. Since then, of course, the meddling of politicians has taken away parts so the northern part of Bucovina became part of the Ukraine and Basarabia became the Republic of Moldova; as so often when outside politicians (usually from the USA and us, the UK) mess with other countries we are still suffering as a result of this meddling, with trouble in the Ukraine and in the Middle East. In my 100th birthday post for Latvia I suggested seven things which many people might not know about that country. I wonder if I can do the same for Romania. I’ll try, though a couple might be contentious. Currently about 9 Romanians leave their country every hour in the hope of finding a ‘better life’ elsewhere. The population has been reduced from 23,210,000 in 1991 to 20,170,000 last year. Most of the people leaving Romania are young and highly qualified or skilled, which we and other ‘western’ countries benefit from. There are, of course, also a significant number who do not mind getting their hands dirty (sadly often ‘exploited’ and not given a fair wage), doing jobs which the indigenous population shy away from; again we benefit. Although the oft quoted “Romanian is the second language in Microsoft” may be a myth the American software giant certainly employ a lot of Romanians and established two of their global business support centres in Romanian cities. I can tell you from personal experience the country produces wonderful doctors too. Romanians have an amazing ability to learn other languages. This is only in part (I think a small part) due to nobody wanting to learn Romanian (unlike me). An example is my wife who, starting from just nine words of English when she arrived here in 2004 by 2006 had a command of English sufficiently good to become a fully qualified teacher in UK and began to teach her subject, history, (and others) in high school. Romanians who live in the countryside or buy from there know what fruit and vegetables should taste like. I will never forget when I first tasted a carrot freshly dug, or a bell pepper freshly picked, a tomato or the sour cherries known as ‘visine‘. If you avoid the supermarkets (I’d better not get started on that! – despite the ‘organic’ nonsense now being overtaken by the equally ridiculous ‘bio’) you can still have that taste today. The only equivalents we can find easily in the UK are bilberries from the Yorkshire moors (equally good as their Romanian equivalent, afine) or wild blackberries (mure in Romanian). Although the belief of many Romanians that Henri Coanda invented the jet engine cannot really be supported he certainly did describe and point to practical applications in aviation of what became known as the ‘Coanda effect‘, which we see (or hear) when we fly on commercial aircraft today, when the ‘flaps’ are extended on landing and takeoff. It is also used in fighter aircraft to allow them to fly at a slower speed. The international passenger airport serving Romania’s capital was renamed from ‘Otopeni’ (a nearby locality) to ‘Henri Coanda’ in May 2004. Although Romanian Nicolae Paulescu developed an extract from a pancreas which, injected into a diabetic dog, normalised blood sugar levels when the Canadian team which received the Nobel prize for the ‘discovery’ of insulin were only just beginning its development, he was not included in the prize. A former head of the Nobel Institute, Professor Arne Tiselius, later admitted he should have been. Just a personal view, of which anyone who has been reading my blog for any length of time will be aware, although many tourists will head for Transylvania when visiting Romania, the area in the north of Romania known as the Bucovina is more interesting, has at least equally beautiful landscapes and delicious food but old traditions are generally better kept. But if you want to see them you should visit soon – they are already less well preserved than when I first arrived in Romania in 1993. After a seven and a quarter hours drive, including a couple of stops, I’m back in the city, Romania’s second largest city (after the capital) in terms of population – Iași. I’m not happy. Iași is not a bad city as cities go, but I would not choose to stay in it, nor any other, for any length of time in the summer. The things which would attract me, the theatre which is also the opera house and the philharmonic hall with its superb resident orchestra and choir, have no programme in the summer. The summer is a time to spend in the beautiful countryside of northern Romania, for me the area known as ‘the Bucovina’ – basically the ‘county’ (județ) of Suceava – and the neighbouring ‘county’ of Neamț, where we have just spent a few days. 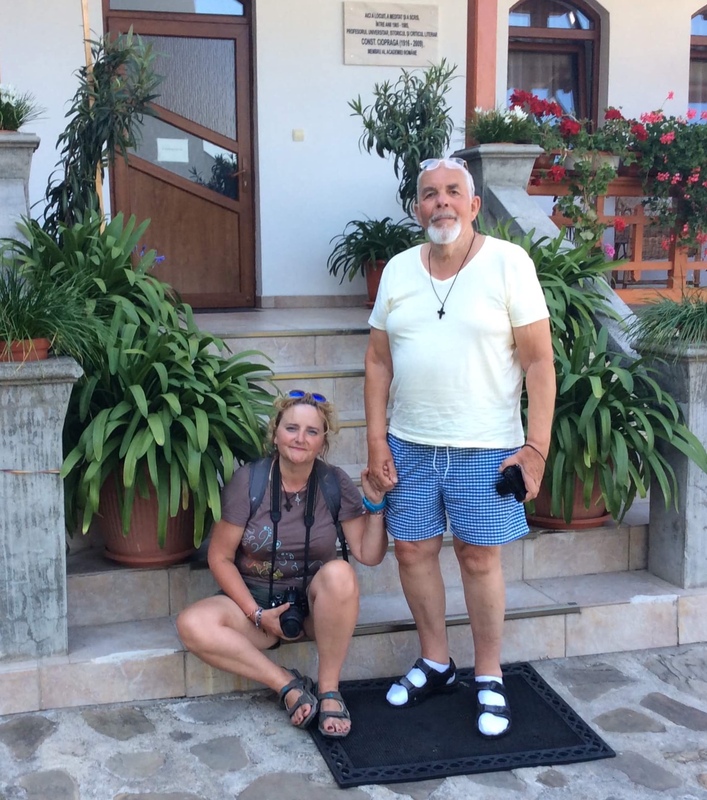 The motivation to visit there was two-fold: to take Petronela’s parents to visit three monasteries in Neamț ‘county’ – Neamț, Agapia and Varatec (my favourite) – and to visit another former pupil from 24 years ago, Paula (see post, post and post). Paula lives in the beautiful valley of the river Bistrița, so after visiting the three monasteries, staying two nights near Agapia, we continued south to the large lake of Bicaz, then turned up the Bistrița valley to Vatra Dornei, staying a couple of nights in Broșteni and visiting Paula and her family in Borcă. Needless to say, the highlight of the trip for me was the visit to my former pupil, now a teacher of English in Broșteni. The Varatec monastery is not one of the famous painted monasteries of the Bucovina; apart from it being a particularly beautiful monastery tended by its resident nuns, not monks, it has fond memories of taking Petronela’s grandmother there for Easter (whatever your faith, or none, the night before Easter Sunday at a monastery is an experience not to be missed if possible). If you are just having a holiday in Romania there is little reason to stay in a city. None of them other than Bucharest is so large you cannot stay in a bed and breakfast outside the city and go in to visit places of interest, eg the open air museums with their collections of traditional houses or those castles which are within the cities, eg the ‘cetatea’ in Suceava, Bucovina, or the old city within Sighișoara in Transylvania. Even Sibiu has lost its charm for me, the craftsmen and women with their wares around the large central square in the 1990s being completely replaced by bars and restaurants. Don’t be misled by the concentration on Transylvania; parts of Transylvania are certainly beautiful but what drags so many tourists there is the myth of Dracula but, for example, Bran castle near Brașov has little if anything to do with the real ‘Dracula’, Vlad Țepeș, who in turn has nothing to do with vampires, and the Dracula hotel at the top of the Tehuța pass between Bistrița and Vatra Dornei is even more of a nonsense. Of course if you visit Romania I would say ‘a must’ is a visit to the decorated monasteries of the Bucovina but be careful; everything around them and within them is unjustifiably expensive. The most renowned, Voroneț, is not for me the most attractive – I prefer Moldovița or secondly, Sucevița. An attempted visit to one of the less renowned, Humor, on our way ‘home’ was abandoned when we saw the entrance price and the levy to take a photograph (I visited it more than once many years ago when there were no charges). Having said that, Humor is one where the external images are best preserved despite being one of the earliest to be decorated. It is also perhaps one of the most interesting (just Google ‘monasteria Humor’ for more details why), but in my opinion that does not justify being ‘ripped off’ (the craft items on the stalls around are also overpriced and the genuine items mixed with a lot of rubbish from maybe China and India). There are no entrance charges or fees to take photographs in the Neamț monasteries. Apart from visiting Petronela’s parents in Iași city, we unfortunately need to spend a time here to attempt to complete various ‘administrative’ tasks which can only be completed in a city, in our case only in Iași. Despite Romania being one of the best internet connected countries in Europe, there is little you can do to tackle the formidable bureaucracy on line, made all the worse by Romania now being in the European Union. I have never seen Romania so green, so beautiful, but it is a beauty only skin deep. Beneath the surface disasters are happening. We left Yorkshire with an extraordinary summer, weeks of sunshine with little rain, a situation rarely seen before. As we ventured further south east, through Germany and Austria, the heat was still evident but more and more rain, often torrential. 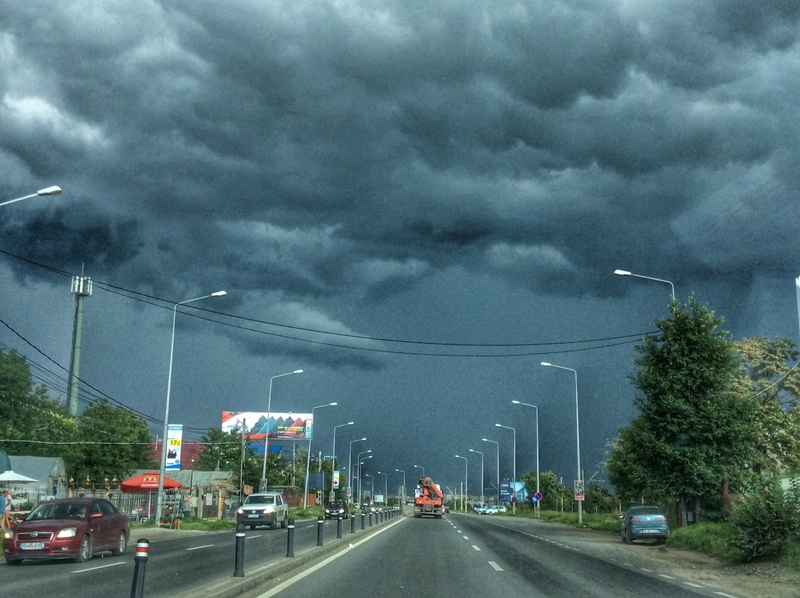 The incredible rain clouds in front of us, as yet in sun, as we reached the outskirts of Iași. The downpour, more violent than any power shower I have met, turned on just as we reached our destination, outside Petronela’s parents’ home. We, the human race, are destroying our life as we have known it. Fifty years ago I was writing, as a journalist, about the dangers of ‘global warming’ though few wanted to listen then. Not enough are listening now to those far better qualified than me, especially ignored by the most powerful ‘world leaders’. Swathes of forest have been felled in Romania and it continues so the natural protection against excessive run-off from the mountains has been and continues to be removed. The effects are clear to see: excessively swollen streams and rivers, moving swiftly to sweep away anything in their paths, including bridges and complete houses and causing wide-spread flooding. And for what? Money, of course. But not money for the general population, money for a few and mostly for foreign investors. Something like 58% of Romanian land, among the most fertile in Europe, has been sold to large foreign corporations from other countries In Europe but also from as far away as the Arab states and China. This is ‘globalisation’ – stealing from the poor to make the rich more obscenely richer. The fat cat politicians pat their back pockets stuffed with Euros, Dollars, Sterling and other currencies, weeping crocodile tears to swell the already swollen rivers. The final good sleep in our tent, at the excellent Warnsborn camp site at Arnhem, Holland. We have not escaped. Our tent, resistant to 3,000mm water pressure, did not resist the torrential downpours and for the first time ever we have been woken up in the night to find ourselves wet. We ‘escaped’ at 2.30am on two occasions to sleep in the car and on one occasion where it was clearly going to rain we did not bother to erect the tent – with front seat backs fully lowered Dusty provides a reasonable sleeping position but far from ideal, so until we reached my ‘honorary grandmother’s’ house near Câmpulung Moldovenesc we had not had a good night’s sleep since leaving Holland. The ‘road’ to ‘honorary grandmother’s house; local people thought we would not make it but even though he doessn’t have four wheel drive Dusty made it with little problem. Having had an interrupted night with heavy rain in Atea, close to the Romanian border at Petea (a great ‘camp site’ which I’ll talk about sometime later), we ordered a new tent online from a Romanian supplier to be delivered to Petronela’s parents. We’re now waiting for delivery. It claims to have 5,000mm water pressure resistance so with any luck it will resist whatever the weather throws at us till we return home. If the destruction of the environment was not enough, watching Romanian tv is equally horrific: a Prime Minister who doesn’t know what capital she is in (when I lived here I could stop any high school student, probably any primary school pupil, and ask for the capital of any country and they would answer correctly). Then we’ve had the Minister of Agriculture publicly comparing the incineration of pigs to Auschwitz! The only conclusion we can come to is that people like this are put into positions of ‘authority’ to be easily manipulated. First, the people! Warm, friendly, amazingly hospitable. How on earth they have ended up with a Goverment made up with many idiots or corrupt politicians is almost incredible. Part of the answer is without doubt that so many of the young well-educated, well qualified of the population have left the country. Second, the food. Tomatoes, giant tomatoes which taste like nothing found in UK. Not from a supermarket but grown by people in the country. Then there’s fresh sheep’s cheese, caș, again made by the country people not in any factory, and together with something I cannot translate, urdă, made by heating the wey after making caș and skimming the solids which come to the surface. When made well it is wonderfully sweet and creamy. That was my lunch and I could live on these three foods with a little home-baked bread, made with flour again from the country. That is not to say I do not enjoy anything else; I could fill many posts of 1,000-2,000 words just to list the dishes I most enjoy – ciorbe (sour soups), plateau țarănesc (a pile of pork, beef, chicken, lamb from the gratar – grill, which we ate with my former student, Anca, yesterday (see below) and of course, borș (borsch – not the Russian borsch known in UK made with beetroot) made by ‘mama’, which greeted us when we arrived yesterday evening. With Anca. Petronela took the photo. Plateau țărănesc (or what remains) in front of us. 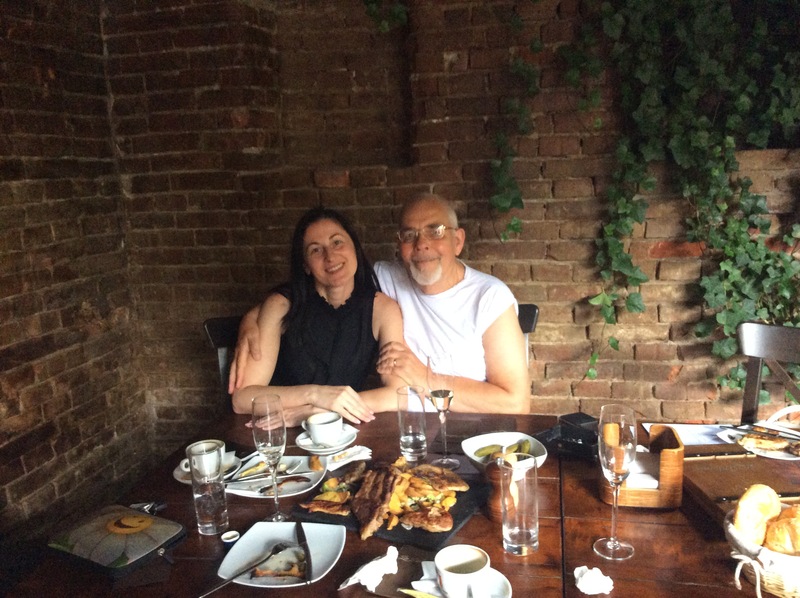 One of the highlights of my visit will be the meeting yesterday with my former student Anca, who I have not seen since she was a young teenager. A wonderful four hours with a youngster who has grown to be a successful lawyer and a beautiful woman. I wrote in the past about her finding me through Facebook and our meeting yesterday was everything I expected other than it was too short. Through her initiative I have contact with other former students from the same class and I intend to meet with as many of them as possible, those who have remained in the country, despite the weather as it is which might limit access to some parts of the country. Today I am resting – sleeping, eating and writing this post – after driving about 2,700km (1,800 miles). Later, I will attempt to write a haibun for each day since leaving UK; at the moment they exist as only rough notes scribbled among the ‘adventures’, mostly down to the weather. PS. We have today, having access to television news, been following the situation in Athens. I am without words, remaining only with tears. This is my first attempt at haibun. Discovering an old ‘diary’ of my first two months in Romania, in 1993, bringing to mind events and emotions I had entirely forgotten, and reawakening those I had not, I had the urge to record my forthcoming visit to Romania in some form of diary. But Romania, particularly the northern area known as the Bucovina, has had such a life-changing effect on me a normal ‘travelogue’ seemed entirely inadequate. 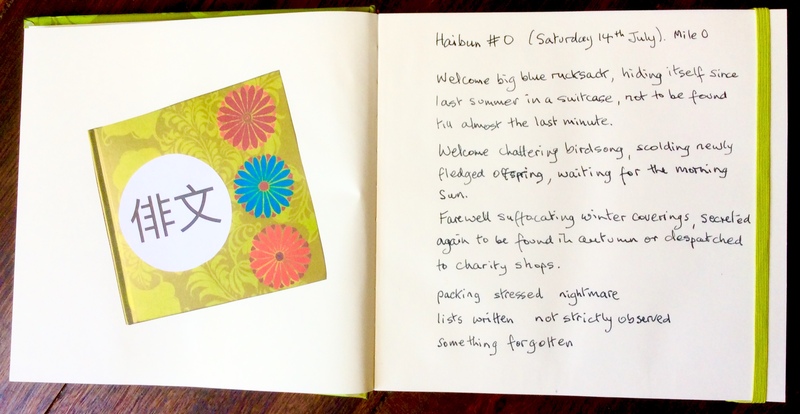 My love of haiku is well documented on this blog, I even endeavour not only to write them but to experiment with them, so haibun – a mixture of sparse prose with haiku – seemed the ideal form in which to attempt a ‘diary’ of my latest visit. Though this is my first venture into the ancient Japanese world of haibun, albeit necessarily in a westernised form, I cannot resist experimenting. So, just as my haiku sometimes became what I called ‘picture haiku’, some of my haibun may become ‘picture haibun’. #0 because the journey has not yet begun. A trial run if you will. My aim (I won’t say ‘hope’, a word I’ve eliminated from my vocabulary) is that they get better as I journey through the forty seven days. 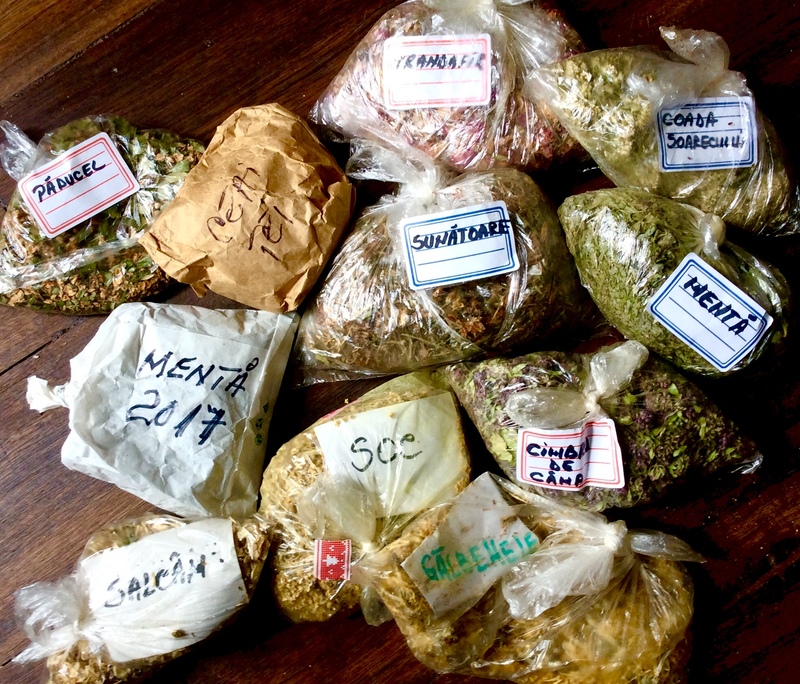 I began to appreciate herbal teas only due to an experience during my second year in Romania, 1994. They are relatively little drunk in Britain, at least by the general population, compared to Romania and, I know now, Latvia. 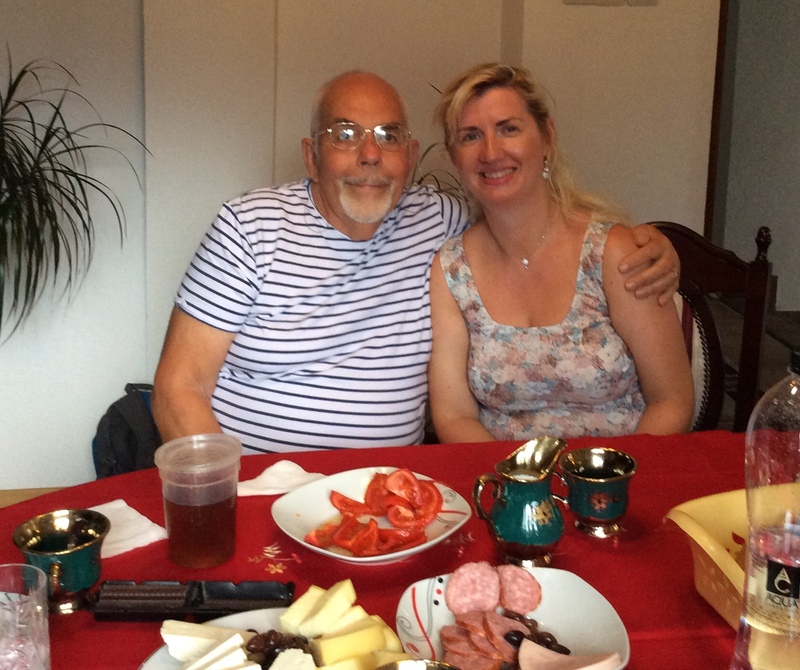 The Romanian experience changed my view and what followed changed my life. I’ve posted before about how I began to teach in Romania (due to mistaking the word ‘marfă’ for ‘mafia’). I’ve not posted before about two life-changing experiences. The first was an introduction to herbal teas; the second, in the same place, was when I say I was ‘born again’, half Romanian. The ‘county’ inspector for English, who persuaded me to stay in Romania to teach English in a top high school when my planned six month stay finished, invited me to accompany her on a visit to a village school, in a village called Sadova, not far from the town of Câmpulung Moldovenesc. I was feeling really ill with a dreadful cough, sore throat and high temperature which I had not been able to shake off as I usually could. I almost called the visit off. At some point we visited the house of a/the young English teacher. I was clearly suffering and struggling to eat something (obligatory when visiting any Romanian home). She asked to be excused, went out the back and climbed a little way up the steep grassy slope to the forest, seeming to be picking flowers. She returned with a handful of leaves and flowers. She boiled some water, poured it on the plants, added some honey and after a few minutes gave me a mug full of the brew to drink. A strange taste for me then but it seemed discourteous not to drink it. An hour or so later I felt completely well! I’ve no idea what those plants were – at the time my Romanian was sparse – but now I’d call the brew ‘ceai de multe plante’, ‘tea of many plants’. The second experience I find impossible to describe adequately. I was back in Sadova but alone. I cannot remember how I got there but I climbed up the steep slopes through the forest and came across a grassy clearing, sun filtering through the tall fir trees, the air full of the scent of them, so sat to catch my breath. An extraordinary peace came over me and the light seemed to change to what I can only describe as magical. The cynical might say I hyperoxygenated from the climb. I’m sure that is not the explanation. I’ve no idea for how long I sat but when I left I felt a different person and I still have that feeling every time I cross the border into Romania, more so when I enter the Bucovina. 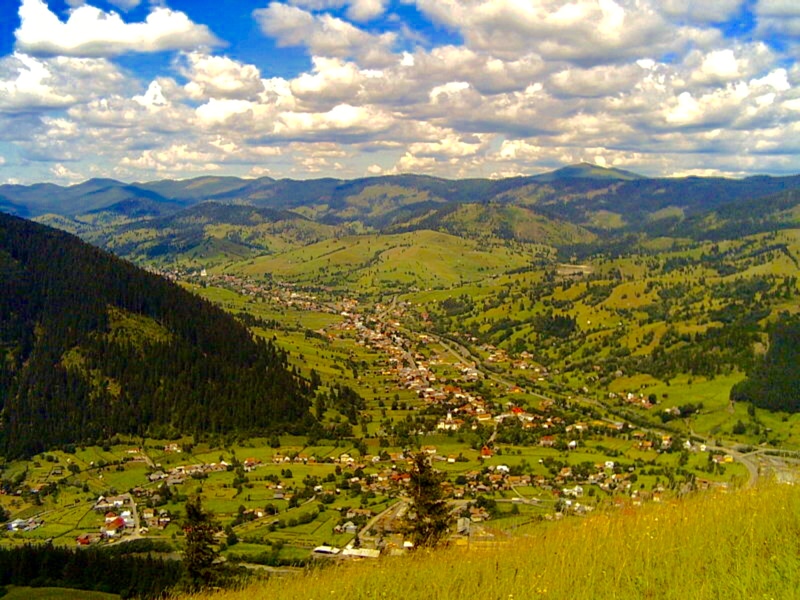 I say I was ‘reborn’ there and have been in love with the Bucovina ever since. Several years later I managed a project there with egg decorators, made many friends, and now visit the region and those friends every year. I said above that I was introduced to herbal teas in Sadova. That is not quite true though that was the first time I drank one. In the first couple of months in Romania I collected ‘romanița’ (chamomile) beside the impressive river Prut in a little village called ‘Broascăcești’ (which no one I tell of it believes exists – maybe it’s a local popular name – my translation, ‘village of frogs’). I was taken there by my wonderful host family, at or around Easter 1993, to visit relatives. A lady, perhaps I met her/danced with her at a wedding, persuaded me to collect romanița with her the following day. My memories are fragmented but I do remember the village was flooded when we arrived and we had to abandon the car (ubiquitous Dacia, one of only two makes of cars seen 25 years ago, Romanian Renault 11) and take to a cart pulled by a bullock. Now we bring back to UK ‘teas’ gathered by my ‘honorary grandmother’ each year (those remaining from last year are pictured). More recently I’ve learned about many more from my good Latvian friend Ilze, from her blog ‘a day in the life of a latvian mom’, along with fungi (‘mushrooms’) of various kinds, vegetarian recipes, about her fascinating country (of which I knew little) and much more. There are good reasons to bring back herbs and fruit even if available in the UK: both soil and air are cleaner in the Bucovina, truly ‘organic‘ (a stupid term, all food is ‘organic’ – recently adopted ‘bio‘ is as bad – but you’ll know what I mean). 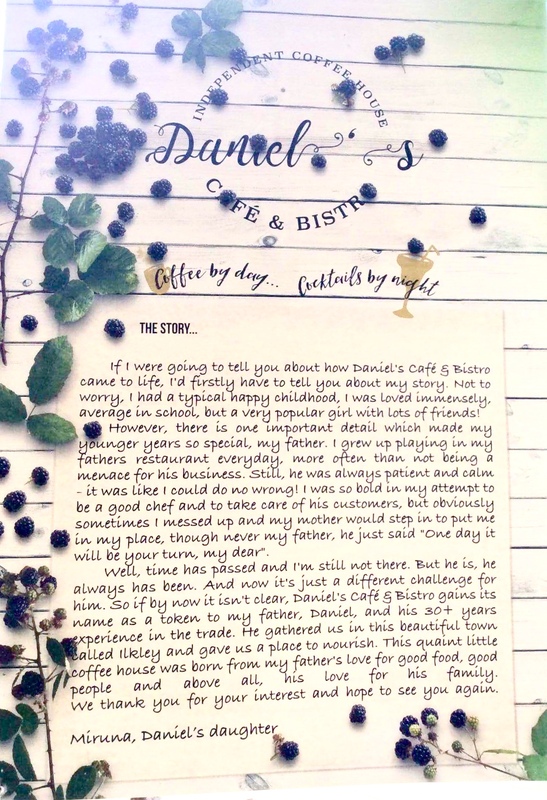 Daniel’s cafe/bistro Ilkley is not run by Daniel but by his daughter Miruna and her husband. The name is a tribute to Miruna’s father who runs a hotel in our other favourite place, the Romanian Bucovina, specifically in the spa town (a bit like Harrogate) of Vatra Dornei. We decided to visit this small but cosy coffee shop by day, a ‘bistro’ in the evening, yesterday afternoon. The cakes are ‘interesting’, yesterday’s were with butternut squash or pumpkin, but neither is ‘my cup of tea’ as we say so I opted for the Romanian sponge with apple and plums, the only truly Romanian cake on offer. With the first taste it took me back to my ‘honorary grandmother’s’ house near Câmpulung Moldovenesc, about 30km from the spa town, where we twice stayed for a while during our summer break. She makes an identical ‘cake’ (in fact it’s more like a pudding). Unfortunately, not liking anything with fruit Petronela settled for just one of the excellent coffees. It’s a pity there are not more Romanian cakes, particularly chocolate cakes of which there are many: chec negru (black cake), amandine, mascota and others. All excellent and any one of them would have suited Petronela. There had been brownies, sold out, but for me the Romanian version is better: boema, chocolate cake soaked in a caramel syrup and topped with a ganache and ‘frișcă’ – sweetened whipped cream. It’s certainly more indulgent for any chocoholic. But the main reason for a visit to Daniel’s if you are in Ilkley is the Romanian (more exactly Bucovinian) welcome. 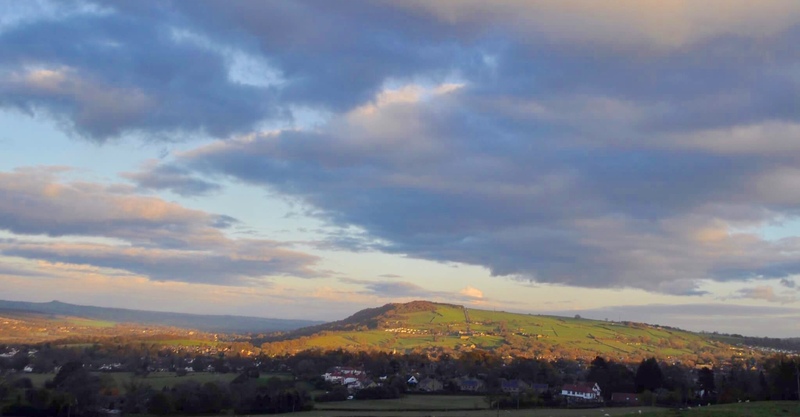 You will not find a more hospitable, friendly people anywhere and it hasn’t been diminished at all by being transplanted in Yorkshire. Something I particularly like is Miruna’s tribute to her father, posted on a window. That also is very typically Romanian. Having been lucky enough to meet him on a previous visit, we can confirm he’s a great guy. Don’t miss it (not open every day – see website) if you visit this lovely small Yorkshire town. If you’re lucky Miruna will have taken my hint and have more Romanian chocolate cakes! As so often in Romania, things are not as they seem nor as you have been told. The necessary legal documents to buy the ‘dream house’ (see previous post) were not in order as we had been assured they were and, more important, the elderly lady – D-na Saveta – owning it has two daughters, one of whom was keen for her to sell it but the other – who wasn’t answering the phone or communicating in any way – didn’t want her to sell it at all it turned out. She needs ‘permission’, and a legal agreement, from both to sell it. We haven’t yet given up entirely but it seems unlikely; to get the documents in order would take at least a year (though that time scale would not be a problem for us). Tomorrow we’re hoping to have another chat with D-na Saveta after erecting the tents in the garden here to dry as we packed them rather damp in Săliște. It should be sunny here tomorrow morning. So, we are back in the Bucovina having spent about a week in Săliște, Sibiu, returning to Iași on Thursday. The villages and small towns around the city of Sibiu are quite wonderful with their multi-coloured, well maintained saș (saxon) architecture. I put a few pix on my Facebook journal, Dusty2Romania, but Petronela has put far more on her Facebook. Having ‘done’ the spectacular ‘Transfagărășanul’ last year we thought we’d try Romania’s highest main road – Transalpina, 2,145 metres – this year. I wasn’t so impressed though it seems extremely popular with motorcyclists and occasional cyclists. Very noticable throughout Romania was a massive increase in the number of cyclists – lycra, helmets and all – not only foreign tourists but many Romanians. We arrived at my ‘honorary grandmother’s’ house, just 7km before Câmpulung Moldovenesc, a couple of hours ago. We will leave most probably on Monday to follow the route shown above rather than the way we came, via Baia Mare, Sighet and Borșa, so then skirting the Ukrainian border. 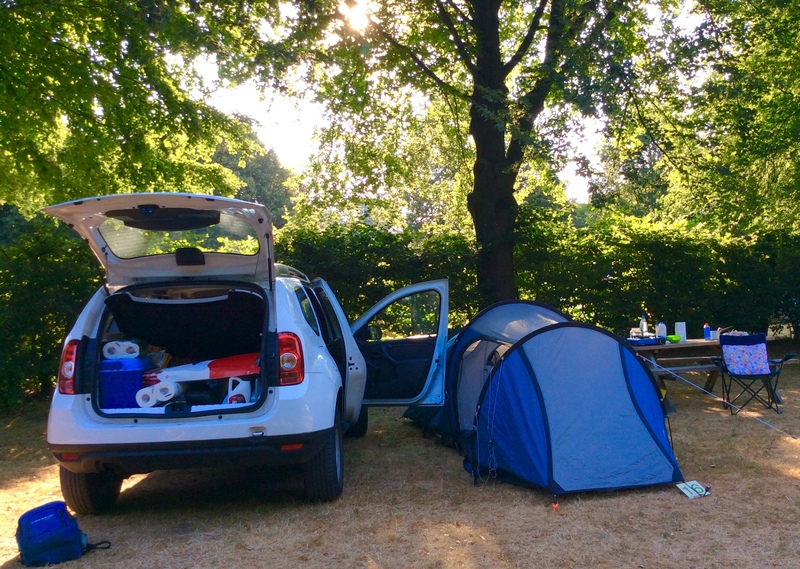 There is camping at the spa town of Marghita (not named on the Google map above but the last thick black circle before the Romania/Hungary border I think) so we aim to spend a night there then on to Budapest, where we have selected another campsite. We will then go through Budapest, hopefully avoiding the M0 motorway around the south of the city which is a really scary drive – maniac Hungarian drivers sticking 2 metres from your boot at 90mph – on the way to Austria then Germany but haven’t decided on a route yet. So far we have seen four bad accidents this trip, one on that Budapest ring road and one today on the way here from Iași which, to get round it, took us on what was really a forest footpath – fun in other circumstances. We fancy trying to pick up the Rhine valley which we really enjoyed in the classic mini in 2006, where there were some excellent campsites. I’ll probably be able to do another post somewhere along that route.